It’s not often life imitates art so brilliantly. Joe and Anthony Russo, directors of Avengers: Infinity War, were caught in their own fantastic Thanos-themed purging on Reddit this past week – and one of them sadly bit the (virtual) dust. Find out which one below. The r/Thanosdidnothingwrong board over on Reddit has recently come up with the idea that, much like the Mad Titan in the movie, half of its users should be banned from the subreddit. Of course, this being the internet, is snowballed from there. They even got Josh Brolin to snap his fingers one more time. One commenter even suggested that one Russo brother wouldn’t survive the ban because all things must be perfectly balanced. And how right they were. 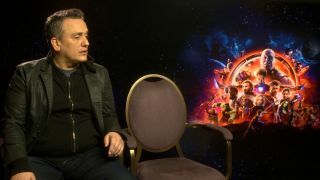 Poor Anthony Russo. His big brother Joe took to Reddit to announce the news posting just two words, ‘Arrivederci fratello’, and posting a picture of his brother dissipating Infinity War-style. What was once a bizarre pipe dream has turned into one of 2018’s biggest viral wins – and full credit must go to the Russos and Josh Brolin for playing along with it all right up to its snappy conclusion. If you were part of the board, you may want to go and check if you survived the random culling. It’s thought that 300,000 users were affected. Now they’re going to have to up the meme stakes for Avengers 4. What next? Will they literally travel back in time to unban everyone? I wouldn’t put it past Marvel at this point to be perfectly honest with you.